What is a Texas Rental Application? 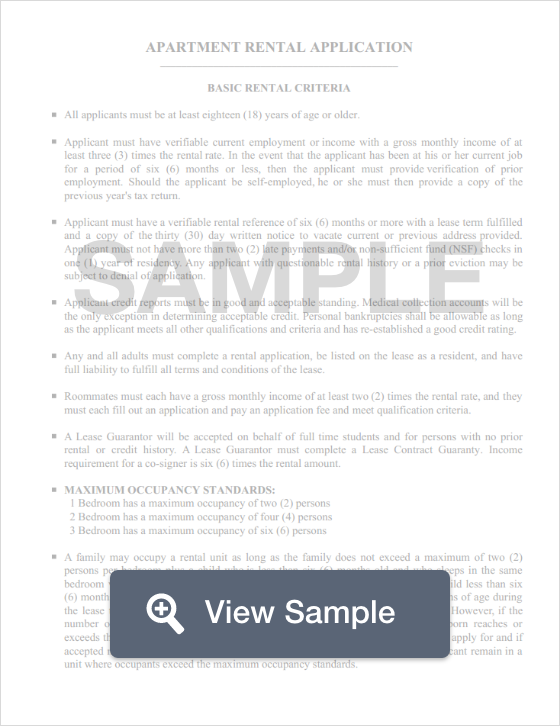 Texas Rental Application: What Is It? In Texas, landlords use a rental application as a valuable tool to gather necessary information on all prospective tenants. Rental applications request information such as the applicant’s full name, and address, but dig deeper, asking for more personal information such as income, criminal history, and whether or not the applicant has any previous bankruptcies or past evictions. Since many landlords will run a credit or background check, there is generally a fee to submit each rental application (generally between $25 and $75). Texas dictates that landlords must return a security deposit to a tenant no more than 30 days after they vacate the premises (Texas Property Code Annotated § § 92.101 to 92.109).